MilCog and Game Universe are proud to host the Rummikub National Championship qualifier series for Milwaukee! There will be 2 events in this series, one on November 9 at Game Universe Menomonee Falls and a 2nd event on November 15 at Game Universe Franklin. The winner of each will receive 1 of only 24 seats at the National Championship. Entry is $5, or free if you buy a copy of Rummikub from Game Universe. 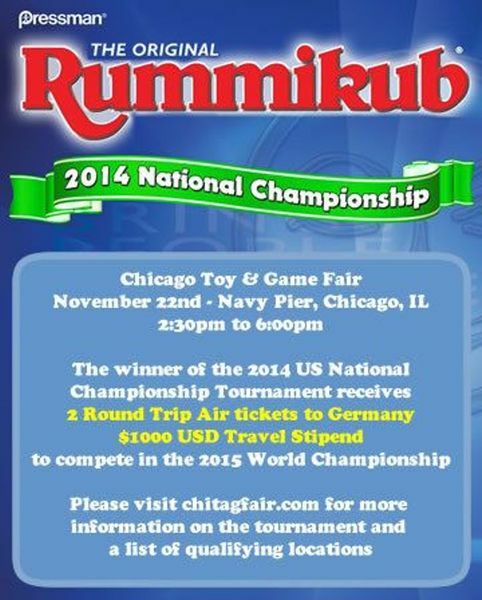 The winner of the event receives 1 seat at the 2014 Rummikub National Championship at the Chicago Toy & Game Fair on November 22 at 2:30pm. The winner of the National Championship receives a round trip flight for 2 and a $1,000 USD in travel expenses to the Rummikub World Championship in Germany in 2015. The world champion wins The Rummikub World Cup and a pair of round-the-world airline tickets. • At the start of the game each player takes 14 tiles from the pool (2 face down stacks of 7 tiles). • Players have a time limit of 1 minute per turn. If, during this time period a player has failed to make a successful play, all tiles remaining on the table (not as sets) must be returned to the player’s rack, in addition to 3 penalty tiles from the pool. • The tournament will be played in three rounds of four games each. The player that wins the most games is the winner of the round. In the event of more than one person with the same number of wins, the person with the most points will be deemed the winner. We’re doing 24 hours of gaming! For the kids! Extra Life is a non-profit raising funds for Children’s Miracle Network, which includes our own Children’s Hospital of Wisconsin. Game Universe Franklin is proud to be staying open for 24 hours on Oct 4 and 5 to support the efforts of local gamers to raise money to support this great event. You can donate money online directly to support our local coordinators, or in store at the register, or by buying an Extra Life Marked sale item at our Franklin location. All profits from the sale table will go to benefit the Children’s Miracle Network. 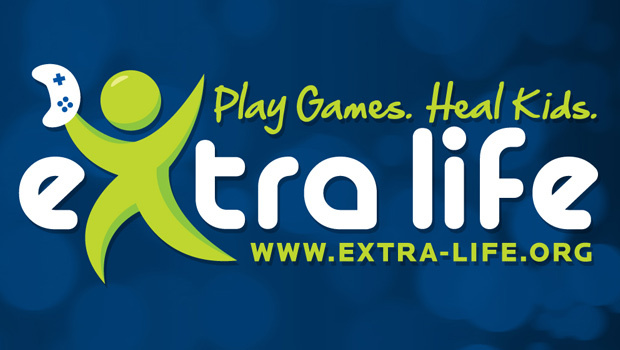 Extra Life is a non-profit raising funds for Children’s Miracle Network, and Game Universe in Franklin has volunteered to host the event. This event will be broadcasting online for people to see. There will be a designated table to play at for the broadcast. Because Game Universe is staying open for 24 hours, they ask that participants either donate $24 to Extra Life which may be done online (http://www.extra-life.org/participant/GameUniverse) or by donating at the store during the event. Alternatively, you may purchase a board game off the Extra Life table at the store. All profits from board games purchased from this table and all donations will benefit the Children’s Miracle Network. If you have anything specific you’d like to play, let Darlene know the game, what time you plan on starting, how long the game will run and if you would like to have your game broadcasted online. You can email Darlene directly at dwilson431@gmail.com. Make the subject Extra Life. She’ll create a schedule accordingly. Shadowrun: Crossfire is a cooperative deck-building card game for two to four players set in the gritty, cyberpunk fantasy world of Shadowrun. Play a shadowrunner team and take on tough jobs such as protecting a client who’s marked for death, shooting your way out of downtown when a run goes sour, or facing down a dragon. In each game you’ll improve your deck with a mix of strategies, while earning Karma to give your character cyber upgrades, physical augmentations, magical initiations, weapons training and Edge. Join us as we play some casual games and demo the new game. You can get involved just by buying the game, or by paying $5. Everyone who plays will be entered into a raffle to win a copy of Run & Gun for the Shadowrun RPG! Taking place worldwide on September 13th, FFG’s Rebellion Day is a special event designed to build upon the burgeoning excitement and community for the Star Wars: Age of Rebellion Roleplaying Game. 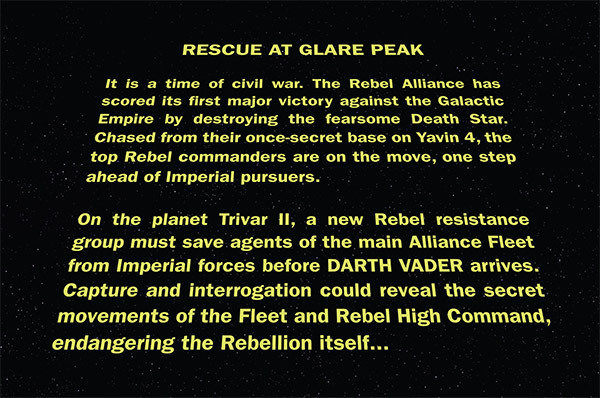 The highlight of Rebellion Day is Rescue at Glare Peak, a special introductory Age of Rebellion adventure designed specifically for the event. Prizes: 1st place: The right to purchase a Doomtown Reloaded Premium Box set, of which we will have 1 and only 1 copy. Welcome to Gomorra. A bustling settlement in the Weird West. Rebuilding after a cataclysmic event, the citizens of the town struggle to remake their lives. But of course, powers always come into play. Various factions fight for control of the town, sometimes behind the scenes, sometimes right out in the streets. It’s not a common day that lead does not fly.